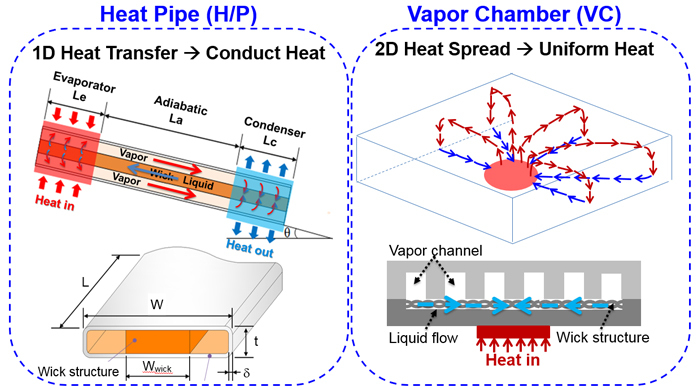 Slim heat pipes and slim vapor chambers are the latest in Delta’s high-efficiency heat transfer solutions. 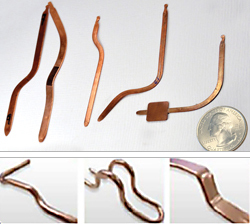 Developed for low profile laptops, tablets, and handheld devices, the slim heat pipes and vapor chambers transport large amounts of heat with very small temperature gradients. The pipes have a two-phase heat transfer system using pure, deionized water vapor for continuous and rapid heat transfer, making it the ideal solution for all the latest devices. Delta used groove, sintered powder, fiber, mesh and composite wick structure for different design. As we know, Geometry of mandrel rod is the key to determine the wick geometry. Also for powder, size and shape will effect wick ability. Delta continues to integrate the material study and manufacturing capability. For slim vapor chamber, Delta can apply the maximum dimension of 200mm x 200mm, and the minimum thickness of 0.35mm. The VC surface flatness could be controlled within 0.2/100x100 mm2 by diffusion bonding. The surface ΔT should be controlled within 3oC. 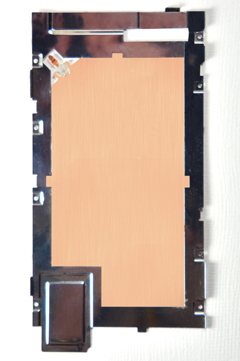 (Thermal conductivity: k ~ 6000 W/oC-m ).